Visiting Santa’s grotto with its festive music, colourful lights and friendly elves is a highlight for many children at Christmas time, but for some, it can prove to be an overwhelming experience. 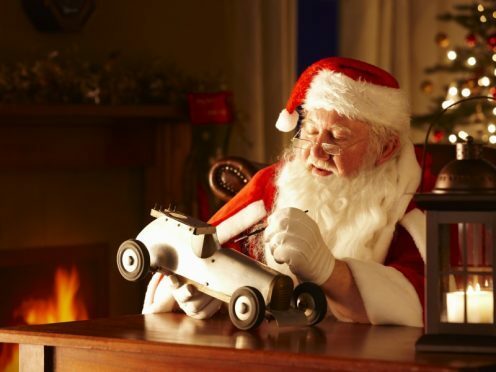 To help every child enjoy a visit to see Santa this year, two Aberdeen charities have teamed up to offer a more relaxed experience with Mr Claus. The Archie Foundation, the official hospital of the Royal Aberdeen Children’s Hospital and Me Too, an organisation that supports youngsters with additional support needs, will provide a special experience this Christmas for children that find the traditional visit to Santa’s Grotto distressing. Between 4pm and 6pm on Saturday, the Bon Accord Centre will turn off the shopping centre music and dim the lights to allow for a less alarming shopping experience for families of children with conditions such as autism or ADHD. And from 5pm to 8pm, Santa’s Grotto at the shopping centre will turn off its Christmas Tree, music and projector lights to help children with extra requirements to enjoy their time with Father Christmas in peace.